By Alexandra Jardine . Published on January 16, 2019. 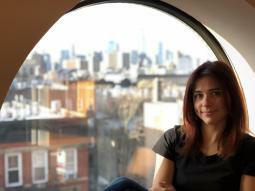 Identity has signed Turkish-born film and commercial director Ayse Altinok to its roster for U.S. representation. Altinok, who moves from Biscuit Filmworks, has helmed spots for the likes of Jose Cuervo, SOS Homophobie, Larabar, Boots No7 and Horizon Organic. Prior to moving into directing in 2009, she spent 10 years as a senior creative at Wieden & Kennedy's Amsterdam and Portland offices, where she led client accounts for Coca-Cola and Nike. She is currently in production on her first feature film "Oil," a story told in three languages and filmed in locations throughout Turkey and Holland. She is also repped by Suneeva in Canada and LaPac in France. Executive Producer Avtar Khalsa is heading up new production company Imposter with offices in both New York and L.A. The company will serve as a hub for creatives producing branded films, commercials, music videos,narrative shorts, photos, and installations. Khalsa has 15 years of experience producing for directors such as Marielle Heller, Karim Huu Do and Kat Keene as well as running her company Baby Panther. Joining her will be Alexis Celic as head of production and Alex Brinkman as producer. The roster includes directing collective Kinopravda, Sergi Castellà, Thomas Ralph, Robin Comisar, Josh Borock, Justin Tyler Close and Andrew Nisinson. 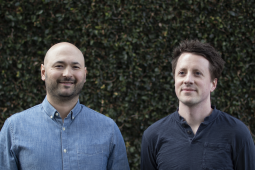 Creative partners Elliot Lim and Aaron Kemnitzer are launching Bullpen, a bi-coastal design and animation studio. Lim and Kemnitzer have over 25 years of combined experience in the motion design industry. After first meeting at design shop Digital Kitchen, they have worked with post-production and animation studios including Buck, Psyop, Gentlemen Scholar, Hornet and Not to Scale. Whitehouse Post New York is adding editor Jessica Mutascio to its team. Boston-born Mutascio returns to America after spending a decade editing in Australia, most recently with The Editors in Sydney. She has collaborated with agencies including BBDO, DDB, Leo Burnett, Ogilvy, TBWA and Saatchi & Saatchi, cutting work for brands like Canon, Target, Mercedes-Benz, Volkswagon, McDonalds, Gatorade and Cadbury. In 2016 she edited her first feature "The Marshes," directed by Roger Scott. 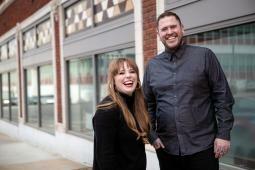 Cutters Studios Kansas City is adding editors Morgan Bradley and Kalen Kirkpatrick. Kansas City native Bradley has been a staff editor for Beast for the past ten years, spanning the company's West Coast and Chicago operations. Her recent commercial credits for Audi, Fitbit, Nike, Sephora and Twitter, and she is a member of Free the Bid. Kirkpatrick is being promoted to the editor position, following four years as an assistant editor for Cutters in Chicago. VFX studio Glassworks has appointed Chris Kiser as executive producer and new business director for its Amsterdam office. 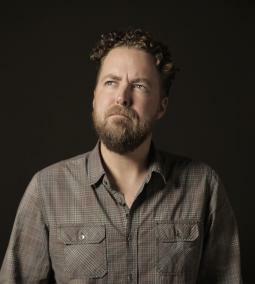 Kiser has previously worked in New York, Portland and Dallas, including as executive producer at The Mill and head of production at both Psyop and Click 3X. He has also contributed to feature and episodic content, most recently collaborating with the Coen Brothers on their 2018 Netflix film, "The Ballad of Buster Scruggs." Sanctuary Content, the Culver City-based production company, is hiring Kristen Bedard-Johnson as executive producer and head of sales based in New York. Her role will complement that of Preston Lee, executive producer and founder, on the West coast. Bedard-Johnson, who has a background in theater and over a decade in advertising at companies like Furlined and RadicalMedia, joins Sanctuary's new Brooklyn office after two years as East Coast director of sales and management at Smuggler. 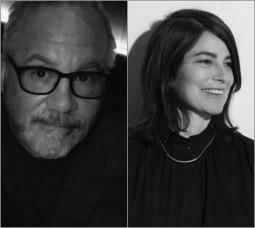 The AICP has announced several new appointments. Newly elected as AICP National Board Chairperson is Rich Carter of Brother, who was re-elected as a Director at Large, and previously served as Vice Chairperson. He's succeeded in that position by Lisa Mehling of Chelsea, who also serves as a Director At Large, and had been an appointed a member of the executive committee of the Board for 2018. Robert Fernandez of Moxie Pictures, a previous Chair of the Board, becomes elected treasurer while Sally Campbell of Somesuch becomes a Member At Large to the Executive Committee. Rounding out the Executive Committee is Ralph Laucella, who recently concluded two terms as chair.